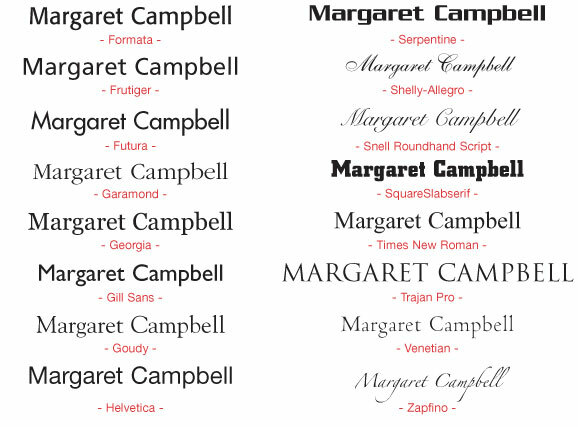 Below is a list of fonts you may choose from when ordering from Colour Tech. 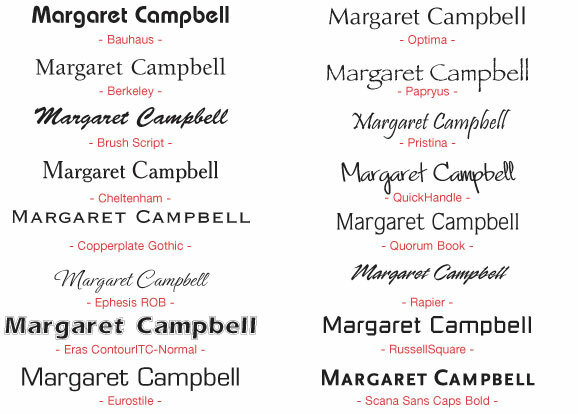 This is a sampling of our most popular fonts from our collection. Please indicate where you would like a particular font to be used on the product you are ordering. i.e. "Please use Pristina for my name and Futura for the rest of my business card."